Hosted in Philadelphia, PA from May 19-21, AIA Convention 2016 (#AIACon2016) is one of the largest annual gatherings of architects and design professionals in the United States. Featuring more than 170,000 square feet of booth space, galleries, and lounges, nearly 800 companies will exhibit at the AIA Expo, including three of our clients here at Stoner Bunting. CertainTeed (CertainTeed Ceilings & CertainTeed Gypsum), Euramax (Fabral, Equinox Louvered Roofs, Amerimax Windows & Doors) and Ross Technology will showcase their latest and greatest in commercial and residential building products throughout the week, in addition to hosting educational seminars, tours, off-site excursions and events. CertainTeed, a leading North American manufacturer of building materials including roofing, vinyl siding, trim, fence, railing, decking, insulation, gypsum, and ceilings products, will showcase its newest product technologies at booths #2210 and #2211. The brand will also host continuing education courses aimed at optimizing sustainability objectives in Learning Lounge #2011LL, in partnership with sister company SageGlass. Architects will have the chance to take an in-depth tour of the company’s new headquarters, aiming to become the first building in Pennsylvania to achieve double LEED® Platinum status. CertainTeed is dedicated to making it easy for architects and designers to develop the solutions they need to create beautiful spaces where people thrive. With two booths this year, a robust sampling of high performance exterior and interior products will be on display, including roofing, siding, gypsum board and insulation. Booth #2210 will feature acoustical ceiling and wall solutions that make commercial interiors sound, healthy, sustainable and beautiful. An unparalleled polymer alternative to traditional cedar shingle siding featuring industry-first CedarLife™ color-through technology with TrueTexture™ molded textures and patterns, which simulate the exact look of natural cedar shingles sawn in a lumber mill. A superior choice when compared to typical resilient channel or double layer wallboard applications, allowing acoustical control through a much less complicated installation process. It scores and snaps like regular drywall and achieves more reliable lab to field STC results when compared to traditional methods, where errors often occur when clips and channels are compromised at the jobsite. 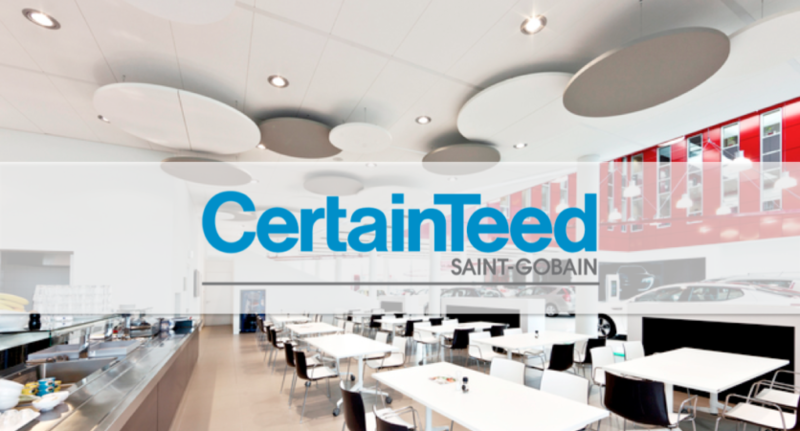 In conjunction with Saint-Gobain, CertainTeed is also hosting an event off-site at its new 320,000 square feet campus in Malvern on Wednesday, May 18. The building, aiming to be the first building in Pennsylvania to earn double LEED Platinum designation, also serves as a learning lab utilizing CertainTeed and Saint-Gobain company products. Attendees will learn about product selection and inspiration for occupant acoustic, thermal, and visual comfort; get a close look at the integrated design process of fire-rated glazing products; and discuss open office and ongoing occupant change management initiatives. Registration is required at convention.aia.org. Parent company Saint-Gobain North America is the title sponsor and will also be hosting a parklet that mirrors the new North American headquarters in Malvern — a facility that redefines aesthetically-pleasing, comfortable workspaces. Visitors to the pop-up design competition can vote for their favorite design with People’s Choice winners announced each day during happy hours on May 19-20, across from the Centre for Architecture + Design, 1218 Arch Street. Back by popular demand, attendees will have the opportunity to earn valuable learning units while chatting up CertainTeed building science experts on the show floor. The Expo Chat program allows architects to qualify for up to 1 LU following brief, 15-minute conversations with designated subject. 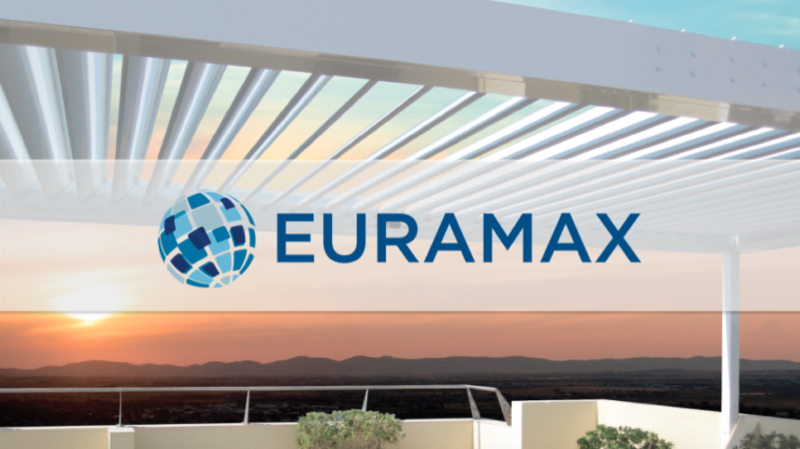 Euramax is an international building products company with core products that include specialty coated coils, metal wall and roof systems, metal and vinyl rain carrying systems, soffit and fascia systems, roofing accessories, aluminum and vinyl windows and doors, patio products, aluminum recreational vehicle doors, windows and sidewalls and aluminum bath and shower enclosures. These products are represented in the market by multiple brands, with Fabral, Equinox Louvered Roofs, Amerimax Windows & Doors and Euramax Coated Products represented in Booth #1938 at #AIACon2016. Fabral, the premier supplier of metal roofing and wall systems, stands strong as an industry innovator with the capacity of supplying product worldwide. Aesthetically pleasing and durable, Fabral panels offer customers the finest choice of materials on the market today. Fabral’s diverse product offering includes standing seam roof panels, concealed fastener and exposed fastener panels, liner panels, secondary structural framing and a complete accessory offering which includes edge metals and mitered corners. Fabral’s architectural, commercial and industrial roof and wall systems are available in a wide variety of substrates including aluminum, galvanized steel, galvalume, copper and stainless steel and are available unpainted or finished with high performance coatings, many which are LEED compliant. Fabral architectural panels feature a 20-year paint-finish warranty and a wide selection of Fabral weathertightness warranties are available for up to 20 years on most standing seam panels. Equinox Louvered Roof is the premier supplier of motorized shade structures for luxury residential and architectural design applications. Committed to providing the best in design, form and function, Equinox is the leading supplier of motorized patio shade systems. Specified by discerning consumers and designers who demand superior quality, Equinox Louvered Roof systems have been chosen for projects around the world. Equinox’s quality product offering, advanced LEAN manufacturing processes and dedicated customer service create exceptional value for purchasers of this superior outdoor shade system. Amerimax Windows and Doors was established in 1986 and has developed a lasting reputation as innovators and customer service leaders in the replacement window market. In 1994, Amerimax was the first in the West to standardize all products to the industries most energy efficient glass and spacer systems. By 2006, Amerimax had redesigned the entire product line of windows and doors to ensure our customers have not only the best performing replacement windows and doors, but also what is considered by many to be the most appealing products offered today. Amerimax services both the residential and commercial markets. Government buildings, embassies, and data centers. Architects who design these high-risk establishments know that protecting top-level personnel, sensitive information, and government resources are a top priority. Equally important is equipping these buildings with the right safety flooring and infrastructure access solutions to prevent accidents and protect essential systems. Yet, integrating security and safety measures that protect against injury and threats while maintaining visual appeal is a challenge. 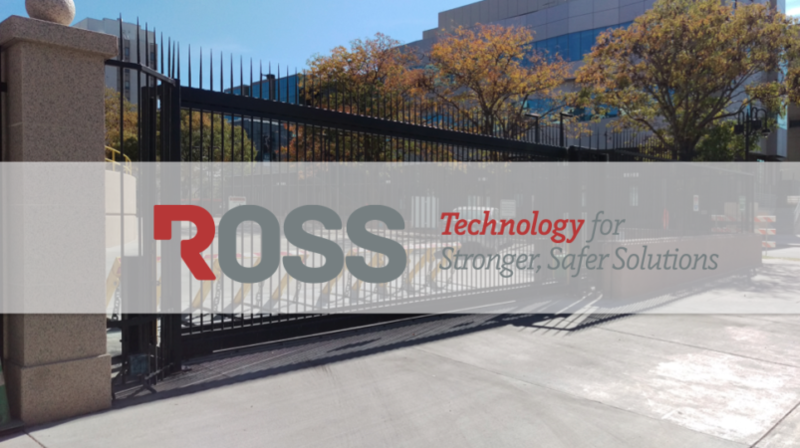 Ross Technology specializes in product solutions that protect a building’s most valuable assets while incorporating them into the best of American architecture. Architectural Security includes forced-entry, ballistic, and blast-resistant products from windows and deal trays, doors and louvers, to roof and escape hatches. Perimeter Security offers anti-ram vehicle barriers and fencing. This product line includes wedges and plates, gates, and active and passive bollards. Safety Works products are engineered for ultimate accident prevention and include Algrip Slip-Resistant Metal Flooring and Infrastructure Access Solutions, which protect underground vaults for utility companies and public works departments. This anti-ram fence system protects against high-speed, vehicle-borne attacks for complete perimeter protection. Ross combines Department of State-certified ballistic and forced-entry resistance with advanced materials and finishes to provide elevated threat protection and striking contemporary appeal. Featuring unique, laser-welded deposits with unparalleled durability and slip-resistance, these products are ideal for outdoor and workplace applications with dusty, oily or wet environments.